Read an excerpt from the book & get Glenn’s latest articles. Lifestyle changes are a powerful way to help prevent, manage and reduce the recurrence of disease—and to improve your quality of life. Glenn’s journey has connected him with some of the world’s top oncology leaders. Want a sneak peek at n of 1? 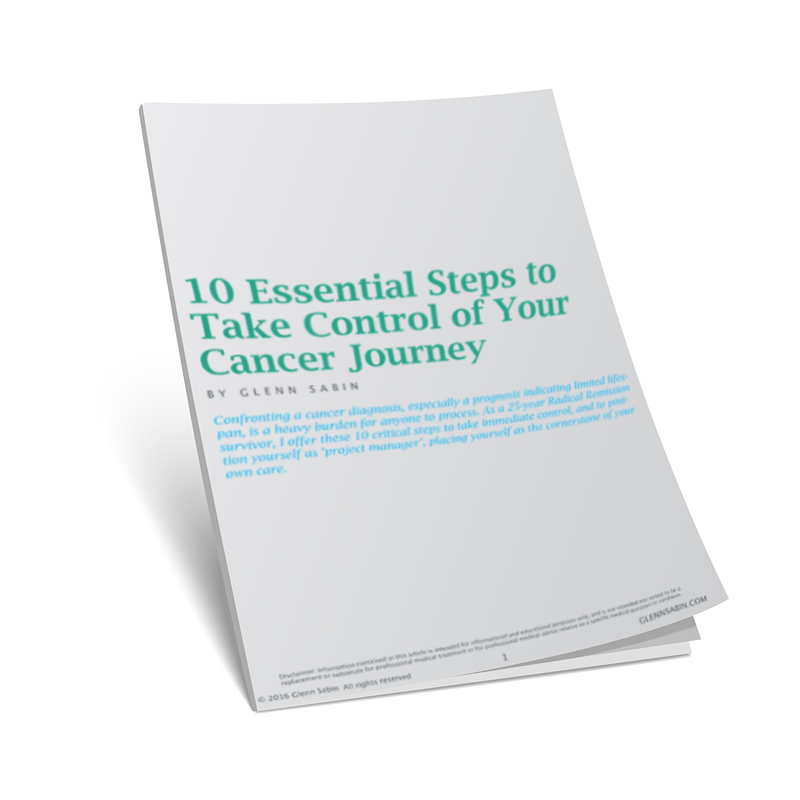 n of 1 is a rallying cry for patients, their physicians, and their loved ones to seek knowledge and self-empowerment–to fully understand their conditions and to treat their whole selves, not just their tumors. The book does not dismiss mainstream medicine, nor does it prescribe a diet, exercise regimen or supplement schedule that is appropriate for everyone. 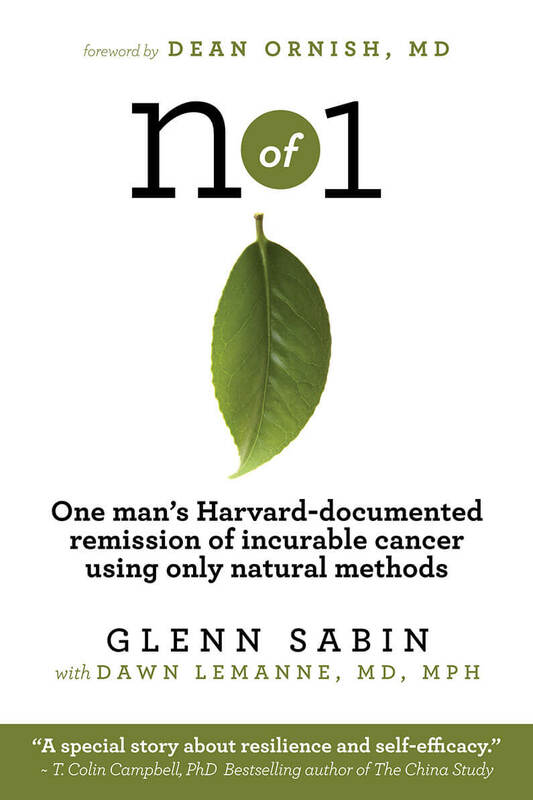 In fact, author Glenn Sabin embraces conventional oncology testing and effective therapies, in combination with integrative medicine. At its core, n of 1 is a call to activate your body’s healing power and to chart your own, personalized path to healing. Throughout his journey with cancer, Glenn continued to see his local oncologist for blood tests and physical monitoring. He also had regular examinations at Harvard’s Dana-Farber Cancer Institute. When he was first diagnosed, Glenn would have eagerly embraced a conventional curative treatment. Unfortunately, conventional medicine could not provide that option, so he took control and became his own health advocate. 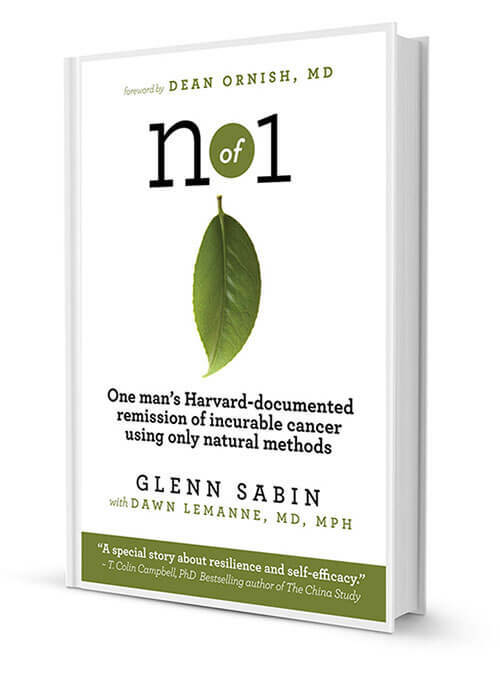 Whether Glenn’s remarkable results are directly linked to his lifestyle changes, his genetics, his environment, or a combination of synergistic factors, n of 1 clearly demonstrates the power and potential of a more self-aware, holistic and integrated approach to treating disease. In the early 1990s, Glenn Sabin began to develop a comprehensive and highly personalized approach to managing his chronic lymphocytic leukemia (CLL)–a disease his doctors said was incurable and would eventually take his life. Today, Glenn is alive and thriving and he has achieved a complete, medically documented remission of his CLL without conventional treatments. Glenn’s remarkable case has been chronicled by Dana-Farber Cancer Institute oncologist Lee M. Nadler, MD, Dean for Clinical and Translational Medicine at Harvard Medical School, and his local Johns Hopkins oncologist Bruce R. Kressel, MD. To say Glenn’s 1991 diagnosis was life-altering would be an understatement. Not only has Glenn overcome his cancer and become a staunch advocate of evidence-based, integrative medicine, in 2009 he sold his media and marketing company to launch FON Consulting–a business that supports integrative health and medicine enterprises and helps to accelerate their growth. 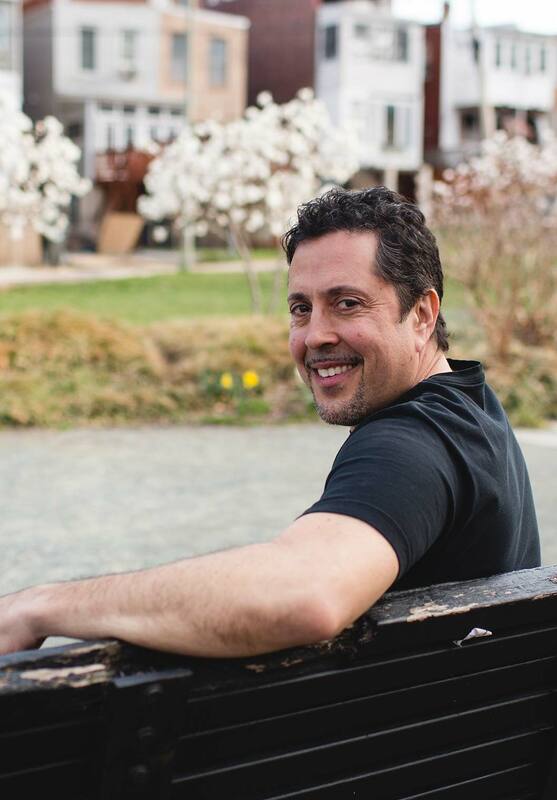 A past board member of The Society for Integrative Oncology and an author, speaker and collaborator, Glenn is a respected thought leader who works with passion and dedication to advance the field of integrative oncology. Dr. Dawn Lemanne is a practicing oncologist and integrative medicine authority. One of a small but growing number of oncologists integrating conventional and complementary therapies to treat cancer, Dr. Lemanne approaches each patient as an n of 1. Her practice draws patients from around the globe. Dr. Lemanne is a proponent of rigorous single-subject research design development and is active in the quantified self movement. 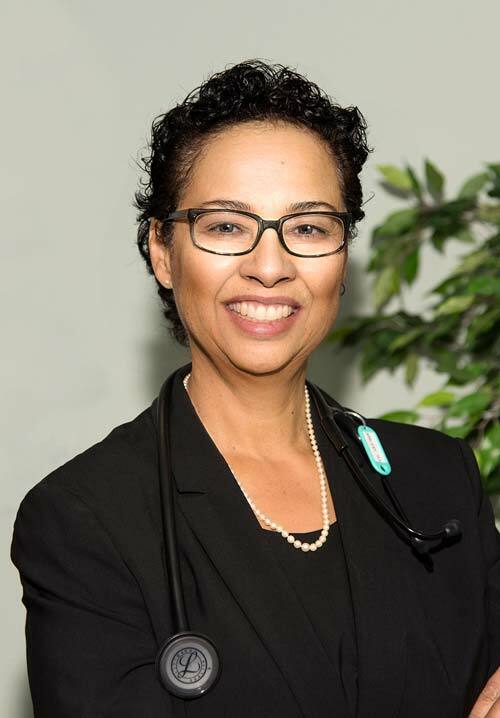 The first medical oncologist to serve on the faculty of New York’s Memorial Sloan Kettering Cancer Center’s integrative medicine service, she currently teaches physicians in the University of Arizona’s flagship integrative medicine fellowship. She is the author of peer-reviewed scientific articles, textbook chapters, and works for the popular press. Dr. Lemanne speaks by invitation domestically and internationally. After earning the MD degree at the University of California, San Francisco, Dr. Lemanne trained in medical oncology at Stanford University and in integrative medicine at the University of Arizona. She also holds advanced degrees from UC Berkeley and Johns Hopkins University. Dr. Lemanne practices at Oregon Integrative Oncology, in Ashland, Oregon. Want to work with Glenn? If you or a loved one has been diagnosed with cancer, or you’re experiencing a relapse, and you don’t know how to access the most advanced, comprehensive and individualized care, Glenn Sabin can help. An advocate of evidence-based, integrative oncology–treating the whole person, not just his or her tumors–Glenn coaches both self-referred clients and numerous patients referred by oncologists. As your coach, Glenn arms you with the tools you need to move toward your health goals. These tools include:choosing an expert oncologist for your specific situation, psychosocial support, therapeutic nutrition, prescriptive exercise, stress reduction, supervised supplementation, hydration and a host of additional, evidence-based interventions. Glenn is an inspirational speaker who has both personal passion and medical knowledge. He presents to diverse audiences including health professionals, cancer patients and all groups in between. Using an integrative approach to manage his “incurable cancer,” Glenn achieved a complete, medically documented remission, without conventional therapies, which was chronicled by a Harvard Medical School dean. A thought leader in the field of integrative medicine, and founder of FON Consulting, Glenn regularly speaks to groups including patients and their advocates, physicians, scientists, and hospital administrators about patient empowerment and the potential of evidence-based integrative medicine as the standard of care.